Working on Superyachts can be fantastic. You get to travel, you meet great people, the salary isn’t too bad and if you are on Charter the tips can be awesome. But it is HARD work. The hours can be long, the tasks can be mundane, often you won’t actually get to see any of the places you visit. As an entry level Stew, for instance, you might spend all your time in a windowless laundry! Then there is living on board. Your living space might be small and shared and you might not get on with all the crew. Yachting is fairly unique in that you have to work and live with the same people day in, day out, and they might not be the kind of people you would choose to live with! That being said, for many people it is some of the best years of their life. The social life is amazing and you will have some fantastic experiences. Just make sure you realise before you get on your first boat that you are there to work! 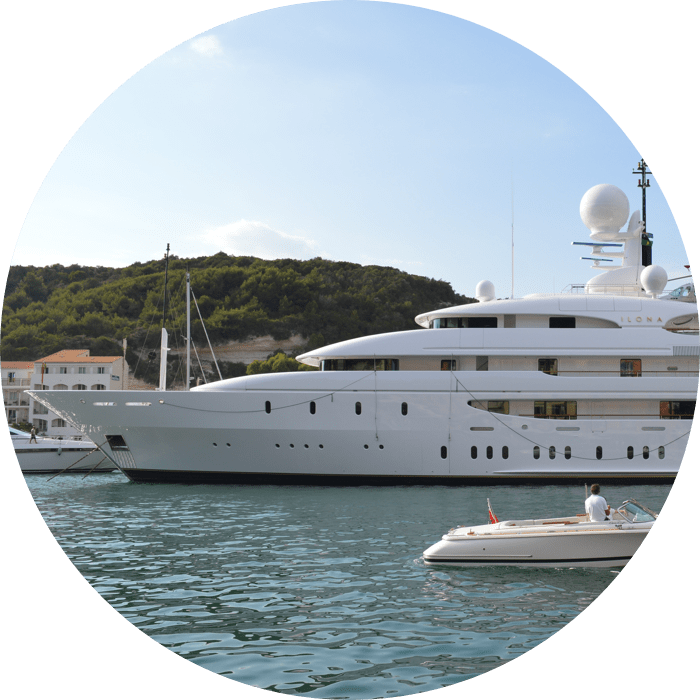 Jo Morgan's Superyacht Crew: Is it the right Job for You? It goes without saying that superyachts don’t come cheap! In order to run their yacht efficiently many owners not only use them privately but also hire them out for charter. This can mean a crazy busy season, with back to back charters and barely time to breathe. However, many crew prefer this; it means you don’t spend your days sitting in a harbour waiting for the owners to arrive, cleaning clean things! And the tips can be great. Employ a larger crew, so you are more likely to meet at least one person you get on with! If you’re lucky you might get to go to Alaska! They might visit the Galapagos Islands, and then head on to the Pacific Islands such as Tahiti, Fiji, Tonga etc. Everyday, there are at least one or two budding new crew members visiting each boat with the hope of getting a job on board. Your CV is the first impression a Crew Agent or Captain will have of you and it will stick. If your CV isn’t selling you, you simply do not stand a chance. Try to keep your CV clear, concise, simple and to the point – it should be two or three pages maximum. If a Captain or Agent needs more information, they can ask.At the bottom of the page you will also see a downloadable CV template. When asked to submit a CV with photo this photo should actually be on the CV!! Make an effort with it and look smart and presentable; professional looking attire like a polo shirt is ideal. Just a headshot is preferable with a plain background, not in the bar! Using a photo that you have from a night out will really not impress. The photo is necessary for many reasons, but mainly for the Captain to remember you. They really do see that many candidates on a day to day basis. This need not be long, but a simple outline which position you are applying for. Sometimes it is difficult to establish from the CV alone the type of role a candidate is looking for. Remember to update this for the role you are submitting your resume for each time. A CV stating that you want to be a Chef when applying for a Stew position will go straight in the bin! Conversely, if you write a long list of positions it will look like you are not very sure of what you want to do! List relevant Marine qualifications with date achieved first. These should include STCW10, Yachtmaster, silver service courses, and diving qualifications. You can also list if you have a Degree or Diploma and, if you want, a BRIEF list of your high school grades. Start with the most recent first. Put enough detail so that we can see what you have done, but don’t go overboard. Bear in mind that the Captain will be able to get some idea of what you have done just by the ‘position’ so be fairly brief. If you have spent time day working on various boats, do not list every single boat separately. This looks like you are jumping from boat to boat. Just write the period you were day working, and list some or all of the boats worked on and locations. List other jobs you have done outside the industry, again most recent first. You do not have to include paper rounds you might have done in your teens! This might seem inconsequential but it is good to list. As a Crew Agent, it gives us more of an idea about you. Just a brief list is fine. This should be a traceable list of references. Make sure they are happy to provide you with a reference first! Please list their name, the boat or company they are from, and a current phone number and email address. When applying for a job you may also need to put together a cover letter or covering email to send with your CV explaining what you are after. Cover letters full of typos or even written in text language will send your application straight in the bin. Take some time getting this right! So many CV's have errors or are even missing email addresses or contact phone numbers. Please make sure your mobile number and email are correct. If a Captain can’t get through to you after a couple of attempts, he will move onto the next CV.